A male red-breasted merganser, Mergus serrator. February is a good month to look for red-breasted merganser ducks in New York City's East River. Today I saw the one in these two photos. I wrote about another on a February Sunday in 2011. Click here to read the previous blog. 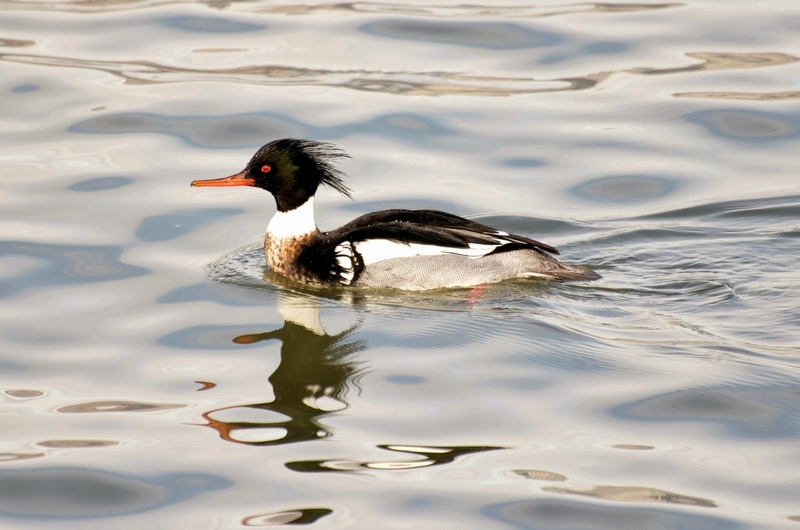 The red-breasted merganser is a diving duck; it mainly eats fish, which it dives under water to catch. 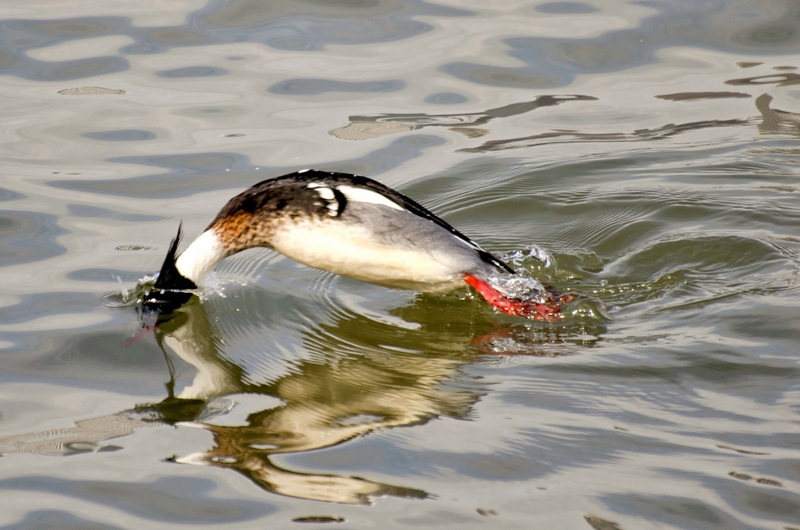 Below is a picture of this duck's energetic dive, just before he disappeared.